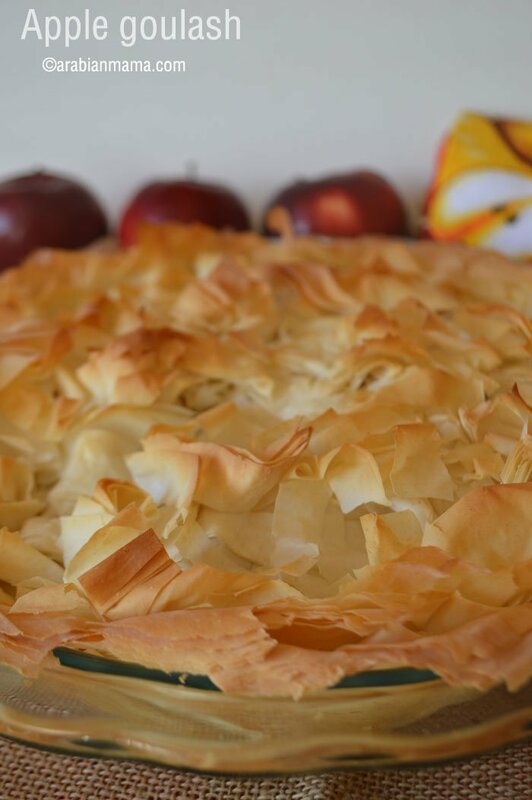 Easy apple pie, made with phyllo dough crust. Buttery, flaky and the center is so gooey and delicious. 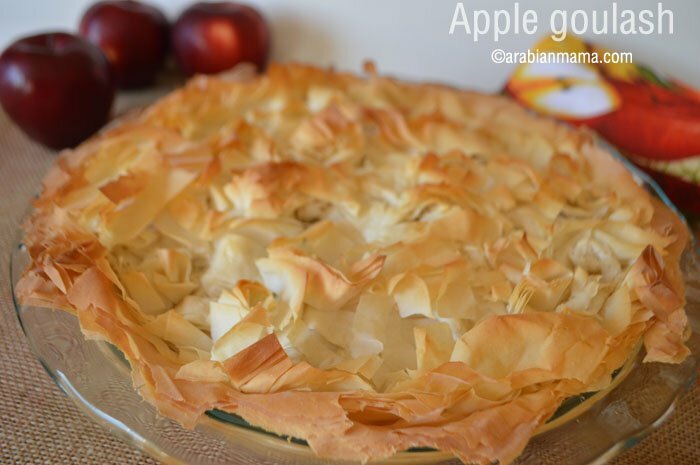 This is not your classic apple pie… This is think outside the box kind of recipe :). For more out of the box recipes, try these pecan pie cups. No no no, this is not the type of goulash you probably know. This is a whole new goulash, no meat included. 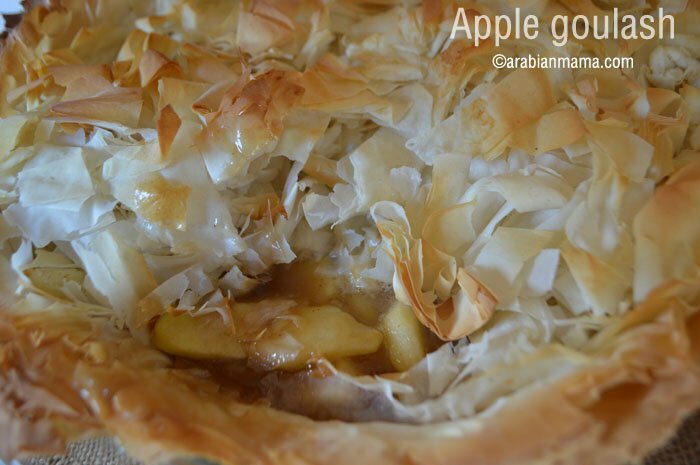 Crispy buttery top, crispy buttery bottom and in between… is a heavenly gooey apple filling, this is my apple goulash. In the Middle East, goulash is the fillo dough – you know that thing you can find in the freezer section of your local grocery store. 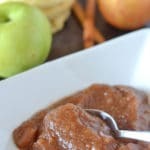 This amazing apple goulash is a little bit unusual, I have to admit. Instead of layering the fillo dough sheets under and above the filling – as we usually do- I layered some at the bottom and shredded the rest on the top, the result is a beautifully looking and super delicious treat. The top is light and crispy, the bottom is buttery and crunchy and the filling….. good gracious, the filling for this goulash is something to dream about. 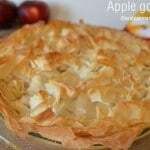 It is loaded with hearty apple swimming in gooey sugar and butter sauce. This recipe was certified A+ by the boys and their dad. There were smiles all around. I’ll be making this again in the coming Thanksgiving gathering and I hope you’ll give this a try. This is comfort food at it’s finest. 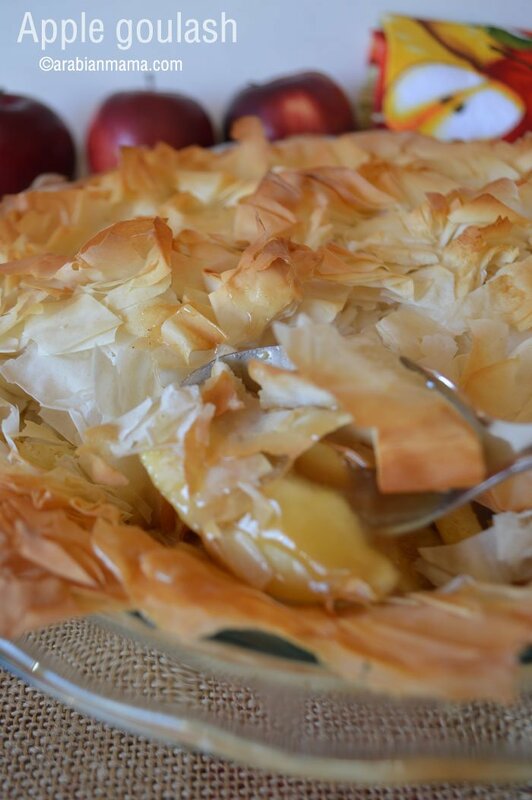 Easy apple pie, made with phyllo dough crust. Buttery, flaky and the center is so gooey and delicious. This is not your classic apple pie... This is think outside the box kind of recipe :). 1/2 cup unsalted butter for brushing or you can use butter spray or cooking spray whatever works for you. 1/2 c of brown sugar. 5 apples cored peeled and sliced- or more depending on your dish. 1/4 c of white sugar. In a saucepan, melt the butter, then stir in the flour and whisk. Gradually add the water and whisk. Then add the white and brown sugar, bring the mixture to a boil, then reduce heat and simmer 4-5 minutes. Turn heat off and allow mixture to cool completely. 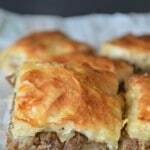 Brush your pie pan with butter then lay one sheet of phyllo in the pan and brush with butter. Continue brushing and layering the sheets until you are done with half the packet. In a deep bowl , mix apples and cinnamon then pour into the pan. Pour the cooled sauce over. Trim phyllo off of the dish edges. Cut the remaining phyllo sheets into half inch strips. Separate the strips apart and toss with some melted butter. 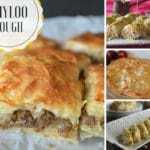 Arrange phyllo strips freely over the filling in your dish. Bake in a 350F oven until crispy and golden brown on top. Amira, thanks for the technique of shredding the fillo pastry on top of the pie. I recently made a lamb pie and tried to get the shredded look by scrunching up the fillo pastry in my hands, but your technique looks easier. Definitely going to give this a try!